This happened to me too. Clicking on the menu bar to raise focus to the application it belongs to and manually switching to the other application is the only way to get the menu bar to update. Can we bump the importance of this bug? Several times already, I inadvertantly closed the wrong program because of this. E.g., for firefox, only the "restore session" function saved me from losing all my open tabs. Is there any movement on this? This bug can cause loss of work by inadvertant closing of applications! If there are steps to reproduce the issue those will be really helpful to fix the issue. I don't know what you mean - steps to reproduce are in the bug description (first three lines) and have been there since the beginning. The steps that I took to produce the bug are indeed in the original report above. Unfortunately, I cannot contribute further because I don't use Unity (it was too buggy). Fwiw, I just reproduced it according to the description, and it's still there. So is it OK to set back to confirmed Omer? oh, I reported a similar bug a few days ago, marked that duplicate and gave the status to this bug. thanks. Because it was mentioned in one of the dupes by Marco Trevisan, this does not only affect Nautilus, but other apps, too. I can reproduce this with Firefox open and active, when I start Qalculate (starts non-maximized), the menu is still Firefox's until I click into Qalculate. The same with gedit, which starts maximized. Yes this affects many apps for me. Thanks for your work. Hopefully Unity is rid of these little things by April! Actually I can't reproduce it, sorry. Are you still getting this on Precise? @Omer, All: I always got it only with nautilus. The problem is that, bamf and unity actually depends on the WnckScreen's "active-window-changed" signal (http://is.gd/mq8DuH), that it's not emitted when nautilus is opened. I've noticed that this doesn't happen if before launching the nautilus home you kill (restart) bamfdaemon... Can you confirm this? I have this problem only with Nautilus. Killing bamfdaemon (and letting it restart) before clicking Nautilus starter helps. Ok, I'm wondering that this could be due to the fact that libwnck doesn't work well with us since when bamfdaemon is ran, nautilus has already been launched in the form of the desktop window... This shouldn't be a problem, actually (as they're two different windows), but maybe it's related to it. I confirm it with Nautilus also. Sometimes when I start Nautilus from Unity launcher icon, window opens, maximized, but Nautilus don't take the focus, it stays on previous application focused, and the left triancle on launcher remains blue. Of course global menu is the one of previous app. This seems to be a security issue. Data can get lost when someone attempts to close the unfocused top window, but closes the focused back window by mistake. The same things happens if the Nautilus is started from Alt+F2, or when a path is enetered after Alt+F2. Is there a (planned) ETA for unity 5.12.0? Problem is corrected in many cases for me (Gpodder, Synaptic, Updates manager), but there is still a situation which doesn't work : when I am on another program than Thunderbird and when an alarm of Lightning shows upThunderbird and the small window of event appear in front of the screen, but at this time focus is still on the last application used, so I can not swith to it again by clicking on its launcher icon. With Simple Scan same problem as with Nautilus before : when started, comes to front of screen but does not take focus. I'd say the Update Manager is the most obvious example of this, happens every time. It pops up when starting an upgrade on top of all other windows but doesn't have focus. It doesn't help to click on one of the windows behind it to bring that one to front, Update Manager still lies on top without focus. To get rid of it you first have to click on it to give it focus and then on one of the other windows to bring Update Manager to back again. So far, i've noticed it only with Home folder. When I open Home folder from the Launcher, Nautilus opens and it is completely maximized. But the panel reports commands of the previous application I was using, for example Firefox. The triangle at the left of the Home Folder is blue, instead of white. If I choose one of the voice of the panel, it is one of the Firefox voices. For example, if I try to close the window clicking on X, it asks me to close the Firefox window instead of the Nautilus one. If I click somewhere in the nautilus window, the panel changes and reports correctly the Nautilus commands. If I'm working on a Firefox maximized window and then I click on the launcher-> Home folder, I can reproduce this bug always. Was hoping this issue would be fixed in 12.04, but it's still there. Oddly enough, it only affects non-wine programs. Super+1 to open the home directory in any native linux program keep focus on the bottom window, not the newly opened one. Same command when already focused in a wine program works normally. This issue keeps tripping me up as I frequent open terminals/folders via keyboard and have to stop and mouse-click to regain focus. Id like to suggest a solution. I find that since Unity and global menus I tend to do a lot of clicking on the app somewhere to gain focus then activate the correct global menu. I seem to be clicking a lot more than before. Also when you close an app the next app below does not have focus either. Click on it again and now you have focus. Why not auto focus to the below app? It's already intuitive as I often have a terminal window in the foreground with scrollable text in a window below. But just mouse over the background app and scroll wheel scrolls the text. I also use the mouse focus option in terminator, wherever the mouse is is where the focus is. Could this be related to bug #889044 with Unity-2d? Nautilus opening behind current window. This bug affects (and annoys) me too. Also if I open Nautilus and then try to focus it with Alt+Tab, its at the end of the list, so I have to press Tab about 3 times. Sometimes also with "Low" Nautilus gets focus, when I click the title bar of another window right before. I assume using "Off" wouldn't be very good, too. It would fix the problem with Nautilus (and maybe other applications), but if for example the update-manager pops up it would probably steal focus from the application I'm working with. Maybe the code behind this (especially for the "Low" preference) should be corrected. If somebody already looked at this: Thank you and never mind. Sorry, I overlooked that branch. Your suggestion will have other annoyances and won't work for those who prefer to navigate through the keyboard. The focus of an opening (by a user action) application just must get focus. 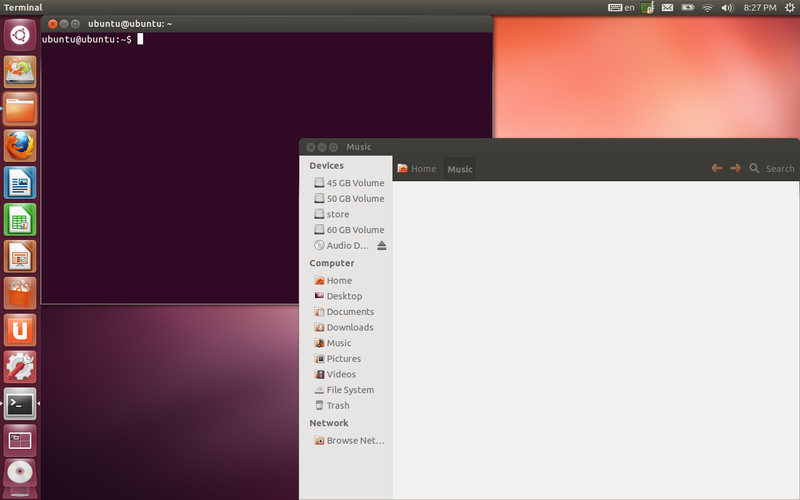 Should mention Ubuntu 12.04 - 64 bit - all updates I've seen. Interesting that GTK+ has been marked invalid & compiz added. I also seeing this problem. Nautilus is the one that always behaves this way. 1. Using the mouse on the launcher. 3. Using the dashboard to lauch any folder (Home, Pictures, etc). This problem isn't because of Adobe. Recently, Compiz has been re-written in the C++ language, so compiz became it instable, our problem is because of Compiz. It's been solved two weaks ago, and yesterday, i openned RecordMyDesktop to record ... my desktop and this bug came again ! thanks Andrea Azzarone (lp: #781931)"
While it is an improvement it Does Not resolve 100%, there are instances, (repeatable), where this still occurs. @Doug Can you post here the steps to reproduce the bug on quantal? > @Doug Can you post here the steps to reproduce the bug on quantal? This is one way that's fairly consistent here, though i wouldn't say 100% . At least here nautilus fairly consistently opens on top without focus. Doing what Dennis said in comment #34 seems to do the trick for me. This bug affect me too. 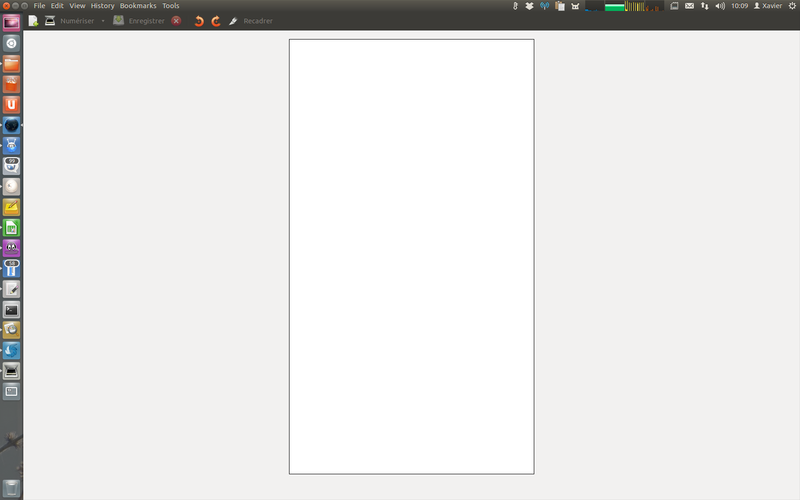 I'm using Ubuntu 12.04. When I open Nautilus after i opened Terminal, it doesn't get focus, and I can't type a word to find some folder or file (I need to click on the open nautilus to get focus). One more test case, happens every time I connect my USB HD: Nautilus window pops on top of other windows, but it isn't in focus. Here's another case, which I thought was a bug in Google Chrome but I think is a consequence of this one. Sometimes malicious websites open a maximized popup with ads or something (which for some reason Google Chrome fails to block). Then the popup is on front and maximized, but it doesn't have focus. The result is that when you click on the X to close the window, you are actually closing the window behind it which is the original one!!!! Actually being on front and having focus should be the very same thing at the deepest level exposed to applications. The concepts of "giving focus to a window" and "bringing a window to front" should not even exist as separate things. This bug is really annoying. And the trick at #34 it is useful only when you decide to open new windows (e.g. Nautilus). Pop-up windows (in browser softwares; Update Manager, etc.) are really problematic! I'm on 12.04 wth all latest updates (including proposed) and I still have the bug. yes I agree this bug is very annoying (I use Unity2D myself every day) and I do wish we had it fixed by now, but having spent time investigating it, the cause is not trivial (or else kick-myself obvious). As Unity2D is being superseded by Unity for all users in Quantal, we are not committing any developer resources to Unity2D except in the cases of critical bugs (crashers, security holes..) for the Precise LTS. This unfortunately means that important usability bugs like this will not be attempted by us any more. So this is where I must ask for community involvement. If you care for this project and want to improve it for all other users, take a bug and try to fix it. Community fixes will be accepted with real pleasure, and we'll do our best to offer help and advice on #ubuntu-unity IRC channel. Gerry Boland (gerboland), this is not only Unity2D problem. This bug affects Unity also. I think it must be fix at least for Unity. I'm using Unity 3D and get confronted with this bug on a daily basis when starting a nautilus window. I also second that it is pretty annoying. In my opinion it is really important to fix this bug - especially for a LTS - to ensure a consistant and professional user experience in Unity. Imho these are just the things that make people want to switch to E.g. Xubuntu. Could someone explain why it is so difficult to fix this critical bug and it is assigned to nobody? If the bug takes a long times to be fixed, it's only because there's about 70bugs to fix for Unity 5.14. This bug is attached to Unity 5.14, then it will be corrected in a few weeks. But, if the bug is fixed today or tomorrow, it will be not release before all the bugs attached to Unity 5.14 are fixed. When all these bugs will be fixed, Unity 5.14 will be released and the fix will come. If it takes time, it's not because it is hard to correct it, it's because there's lots of bug to fix. I hope you're right. I've already seen 5.6.0 → 5.8.0 → 5.10.0 → 5.12.0 and then 5.12.0 → 5.14.0. I hope not to see 5.14.0 → 5.16.0. As far as unity-2d & this issue. In a bit of irony this no longer happens here in 12.10, windows open with focus quite well. Also for me using 2d with 12.04 this was fixed some time ago, so not sure why it is marked as won't fix. There is the worse issue on 2d that the windows are not even moved to the front (bug #889044) but I see that is marked as critical so hopefully it will be fixed. Thank you for taking the time to report this bug and helping to make Ubuntu better. This particular bug has already been reported and is a duplicate of bug 333366, so it is being marked as such. Please look at the other bug report to see if there is any missing information that you can provide, or to see if there is a workaround for the bug. Additionally, any further discussion regarding the bug should occur in the other report. Feel free to continue to report any other bugs you may find. Christoph, both this bug and its duplicate only mention nautilus in their Bug Descriptions and test cases. So I think it is appropriate that this is a duplicate of bug 333366. I have responded to palimmo's comment in bug 333366. Well, the original description mentions Nautilus only as one possibility "(say Nautilus)". Additionally, comments #10, #11, #25, #26, #42, #51 mention other apps than Nautilus. So I still disagree about the dupe status. However, I'll let this rest for now until I can show reliable repro for apps other than Nautilus, maybe it's already fixed for those anyway. I'm currently mostly forced to use unity-2d due to a bad bug in unity. Yes, I agree, everybody mentionned Nautilus and the terminal as an exemple perhaps because they are use eveytime but that does not affect only Nautilus, the first time I saw that bug was with Chromium, that's not Nautilus ! OK, this is no longer a duplicate. However generalizing it to many window types means we're unlikely to ever resolve the bug. All - The nautilus case of this bug is being handled in bug 333366. For other window types, please try to find simple and clear test cases and add them to the bug description. The same effect is seen when opening tomboy over terminal. I have opened bug #1025166. Accepted nautilus into precise-proposed. The package will build now and be available at http://launchpad.net/ubuntu/+source/nautilus/1:3.4.2-0ubuntu4 in a few hours, and then in the -proposed repository. This did it for me, after update + restart, I don't encounter this bug with Nautilus on 12.04 any more. Tag has been changed to "verification-done". I have this issue with windows not taking focus after being moved to front with Synaptic (when I click to apply, and after the downloading phase, when applying changes starts, Synaptic window comes to front but doesn't take focus) and uget (I'm using flashgot firefox extension, and when I select some link to download, uget window comes to front but doesn't take focus). There are more programs, but these I can remember right now. I'll test nautilus patch during weekend. This bug still exists in latest stable precise and more irritatingly with almost any application. For instance, I try to login to a web page in Firefox. I don't remember the password, so I start Keepass from Dash. I type my password in Keepass, hit Enter (or at least I think I do) and guess what, I realize I typed in Firefox and submitted the login form with Enter. I could not beleive my eyes. The password field within Keepass windows was even showed as focused with an orange border and a blinking cursor. Only the window was not in focus. I could mention any other pairs of applications, I can reproduce the problem. Application #1 is running, starting Application #2 from Dash pops up Application #2, but still Application #1 is in focus. I had the same issue in Ubuntu 14.04.1 LTS. Another situation to reproduce the problem is: on the keyboard, press the Calculator Button (keyboard shortcut). It'll open in background. I fixed this problem with the answer available at http://askubuntu.com/a/130349/154850. Hope to help someone else. Nautilus is opened, but sits below the terminal window. Rayner Pires workaround, mentioned in February, causes the correct behavior, but I don't know what side-effects it may cause.